Zipping on the bullet train from London to Paris (or vice versa), in a tunnel deep below the English Channel (the "Chunnel"), is exciting — and only takes about 2.5 hours. Catch an early train, spend about 10 hours in the City of Light, and be back by bedtime. 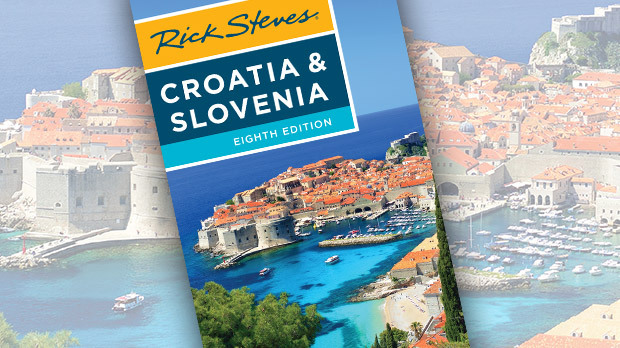 This journey between two of Europe's greatest cities is almost as fun as the destination. At 190 mph, the train is so fast that when the tracks parallel the highway, the cars look as if they're standing still. While many travelers come to Croatia for Dubrovnik and the coastal islands, for me, a trip inland to Mostar, Bosnia-Herzegovina), is one of Europe's richest experiences. Visiting these two pieces of the former Yugoslavia is like turning a history and politics textbook inside out, shaking its contents all over the earth, and then playing in it. Mostar is a haul from Dubrovnik (three hours by car), but well worth the trip: Hire a driver, rent a car, or join an excursion. 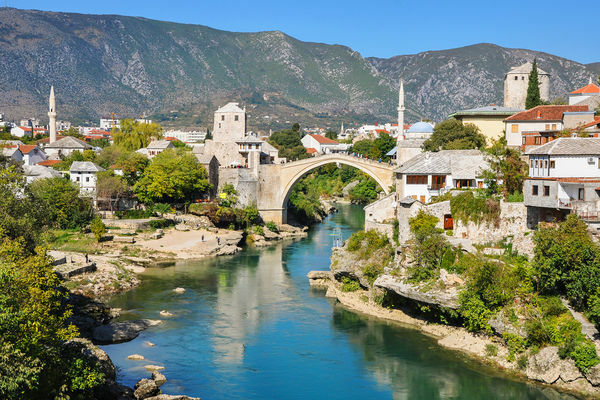 During the 20th century, Mostar was inhabited by Catholic Croats, Orthodox Serbs, and Muslim Bosniaks, all enjoying a fairly easygoing mingling of cultures. Their differences were symbolically spanned by a 400-year-old, Turkish-style stone bridge. But as Yugoslavia unraveled in the early 1990s, Mostar became an icon of the Bosnian War, fought among those same peoples. Bombarded by (Croat Catholic) artillery shells from the hilltop above, the bridge collapsed into the river. By 2004, the bridge had been rebuilt and the city began to thrive again. Surveying the town from the crest of the bridge is a powerful experience. The cityscape is a symbol of Mostar's past religious conflict. Minarets pierce the city's skyline like proud exclamation points, while the bell tower of the Catholic church soars over them. On the hilltop above town stands a bold cross, marking the place from where Croat forces shelled the Bosniak side of the river. Exploring Mostar is a delight. The city's Ottoman influence is evident, from traditional Turkish-style houses (including several open to visitors), to lively Coppersmiths' Street (with the flavor of a Turkish bazaar), to the call to prayer, echoing throughout the city five times a day. A trip between the capital cities of Finland and Estonia gives a Baltic twist to a Nordic itinerary. Tallinn is just a two-hour boat ride from Helsinki, but culturally it's a long way off. While Helsinki is more modern — a spruce-and-stone wonderland of stunning 19th- to 21st-century architecture — Tallinn is cobbled and quaint, with an Old World ambience and the best-preserved medieval center of northern Europe's capitals. Tallinn's walkable Old Town, divided into lower and upper towns, is surrounded by a remarkably intact wall. On a one-day visit, explore the Old Town's cobblestone lanes, gabled houses, historic churches, and main square, with a cancan of colorful old buildings and touristy eateries. For amazing views, head up to Toompea, the upper town, where you can climb some of the original wall towers and visit the Russian Orthodox cathedral. It's a beautiful building, but most Estonians don't like this church, as it was built to face the Estonian parliament building and clearly designed to flex Russian cultural muscles during a period of Estonian national revival. It's just one of the many layers that make Tallinn a fascinating destination. For me, the most exciting day trip in Europe is to…Africa. From the town of Tarifa in southern Spain, it's just 35 minutes by boat to Tangier, offering a legitimate taste of North Africa and an authentic slice of Islam. While guided excursions make things easy, I find them full of clichés, from belly dancers to snake charmers. I prefer taking the boat on my own, and hiring a local guide to meet me at the port. 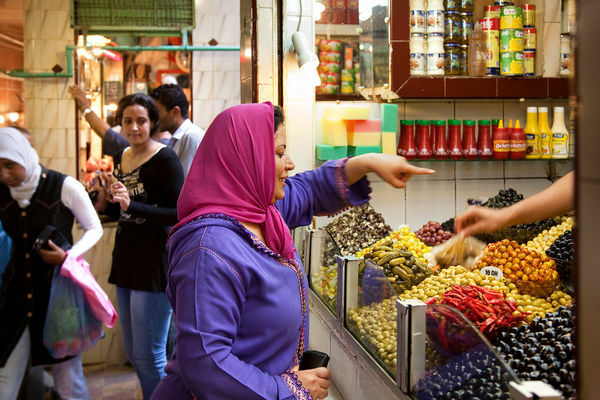 Tangier is a feast for the senses. The old town (medina) is a twisty mess of narrow stepped lanes, dead-end alleys, and local life spilling into the streets. Wander the colorful produce market (souk); check out the workshops of various artisans, from mosaic tilemakers to tailors; and sip a mint tea on the little square called "Petit Socco" — the same place that drew Jack Kerouac and his Beat Generation buddies. Recently, I stood at the edge of the Grand Socco — the bustling square between the new town and the old town — admiring this affluent, successful, peaceful Islamic city, just living its life the way it wanted to, successfully. It was a beautiful moment — and a reminder of how border hopping can create new experiences and perspectives.